"Chrishuna Williams reacts after placing third in the Women's 800 Meter Final during the 2016 U.S. Olympic Track & Field Team Trials at Hayward Field on July 4, 2016 in Eugene, Oregon." For athletes, there is no greater destination than the Olympics - but first you must make it there. It's no easy journey for the thousands of athletes that descend to a host city every four years to participate in the world's largest event in sports. As cliche as it sounds, it takes a lot of blood, sweat and tears. For what many call one of the best track and field teams on the globe, you just don't show up and make secure a spot on the U.S. Track & Field roster. Whether you're the face of the sport or a newcomer fresh out of high school - everyone is put on the same level on day one at the U.S. Olympic Track & Field Team Trials at Hayward Field in Eugene, Oregon. Having the opportunity to photograph athletes as they got the chance to make the squad is no easy task. It's no walk in the park for them nor the photographers. It was an adrenaline rush documenting the men and women who have sacrificed so much for a chance not only to put on the jersey, but that may now get the humbling opportunity at bringing home a gold for the United States. 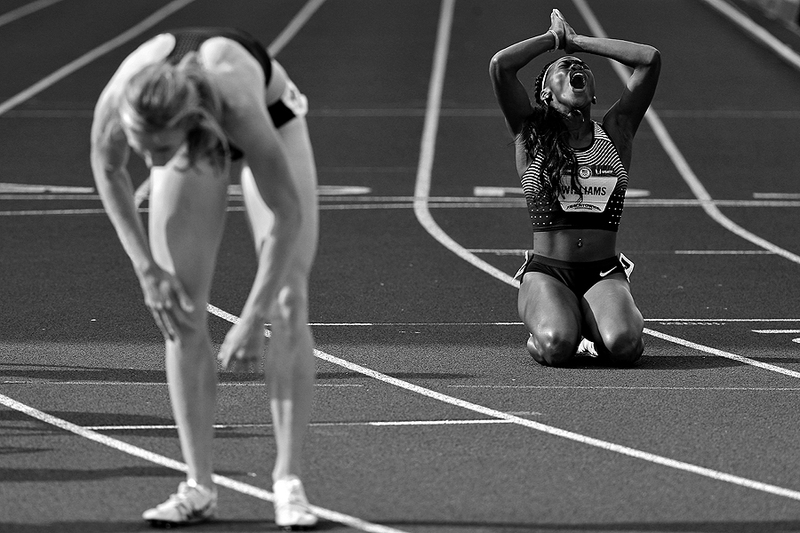 These images are the faces, moments and action of the trials in Tracktown. "Ronnie Ash, Orlando Ortega, Aleec Harris, Spencer Adams, and Jason Richardson compete in the Mens 110 meter hurdle during day two of the Adidas Boost Boston Games on Charles Street between the Boston Common and Public Garden on June 18, 2016 in Boston, Massachusetts." Every so often, a great promoter thinks of a way to bring sports closer to fans. Whether that's better access for spectators or putting a venue in a place it normally isn't, these things help those familiar, and also new to a sport, enjoy it on a new level. 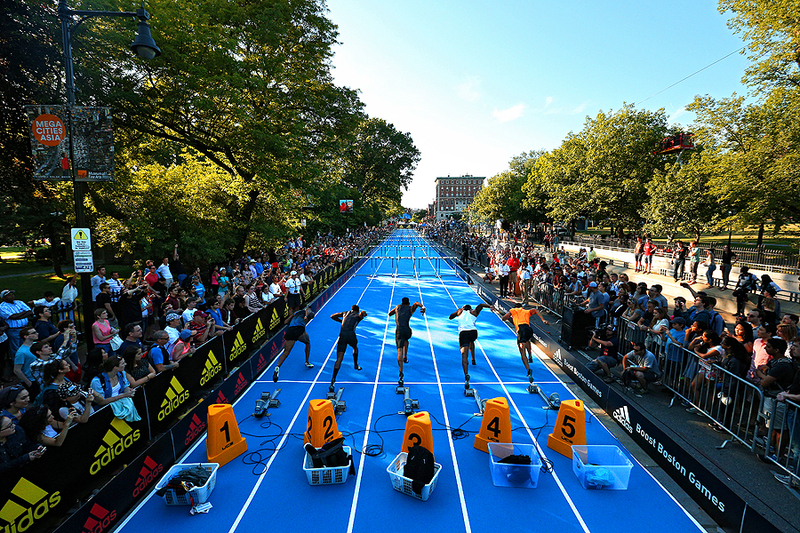 With the Olympics getting closer, the Adidas Boost Boston Games took their event to the actual street. On Charles Street between the Boston Common and Public Garden, they built a track environment for their branded athletes to compete. It was really awesome to document something unique like this for the first time despite it being a common type of event in Europe. I can only hope more events like it start popping up in the States.